Husk’s bar features just about every type of bourbon you can think of (they have a whole menu devoted to it), as well as a wide array of other fancy, interesting cocktails. 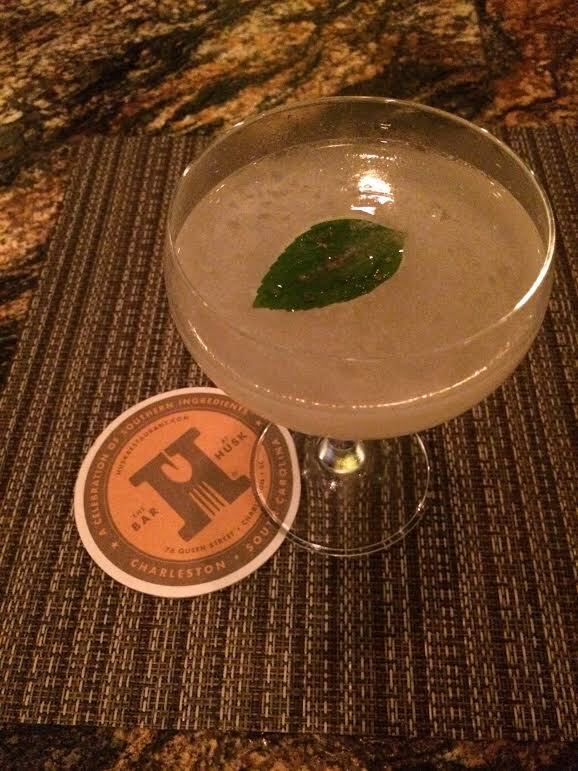 I started off with the Athens’ Opal (Tito’s Vodka, Carpano Bianco, African Blue Basil-Cilantro Syrup, Fresh Grapefruit, Aged Balsamic Salt), which is pictured below. Craig got a bourbon cocktail (can’t remember the name), which he raved about. I could have eaten 100 of those sesame seed rolls with butter. To start, we chose the Ember Roasted Sweet Corn and Heirloom Peppers, Salsa Verde, and Sheeps Milk Cheese. 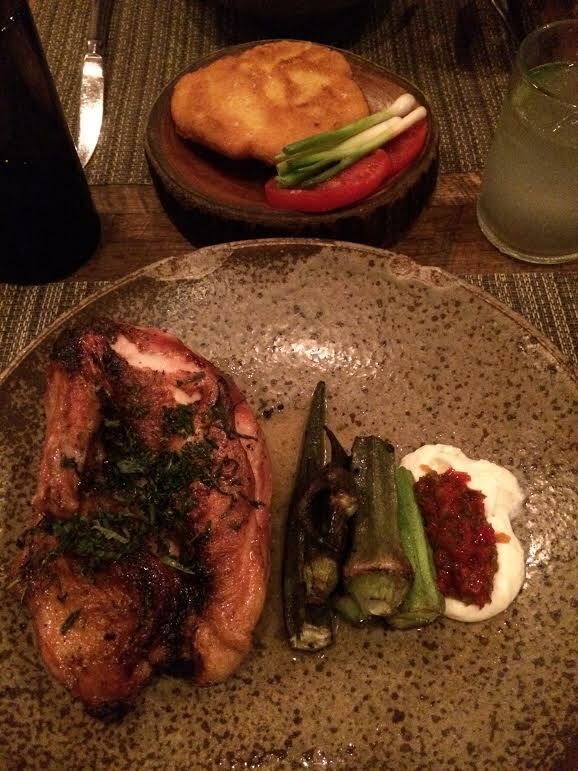 It was the perfect portion for two, and it had really nice grilled/spicy flavors. Craig got the Shrimp and Grits, and we shared the Hot Water Cornbread with Sliced Tomatoes and Raw Onion, which had a really interesting texture. It was super crispy on the outside, and almost a bit gooey inside. 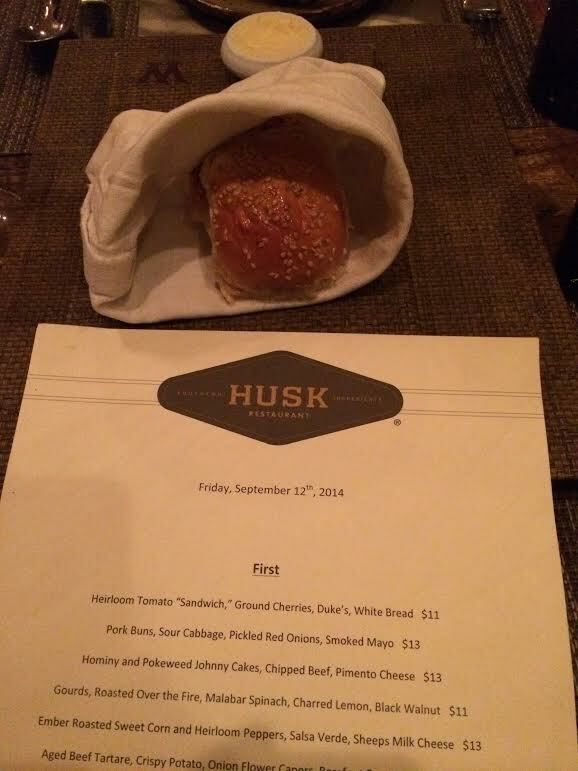 Before arriving at Husk, we’d decided we would have either an appetizer OR a dessert. Well… you see how that played out. We got both. 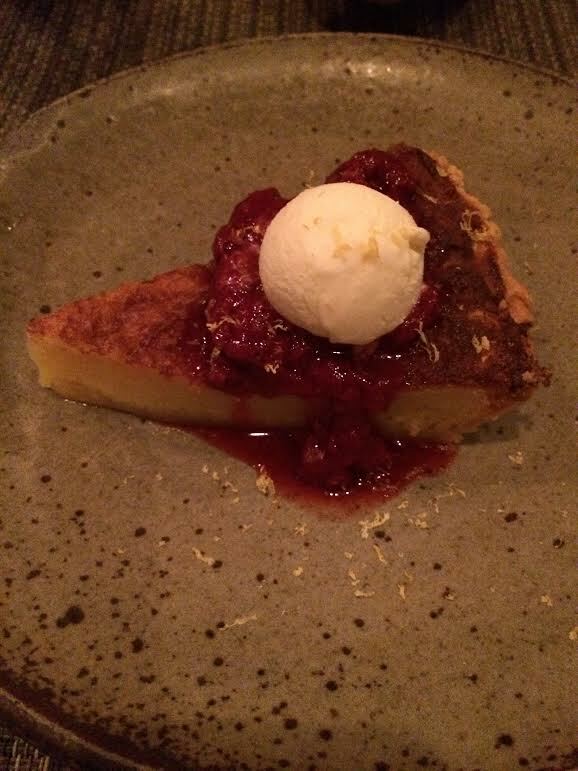 Below is the Buttermilk Pie with raspberries and a lemon sorbet. Our usual desserts involve lots of chocolate (or pecan pie or coconut), so we went with the server’s recommendation. 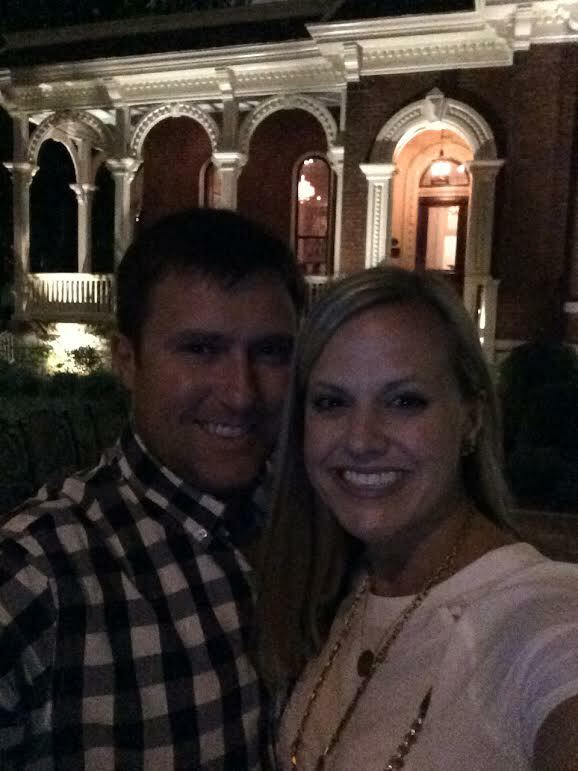 We had such a lovely dinner, and I’m glad we finally got to see what the fuss is all about. 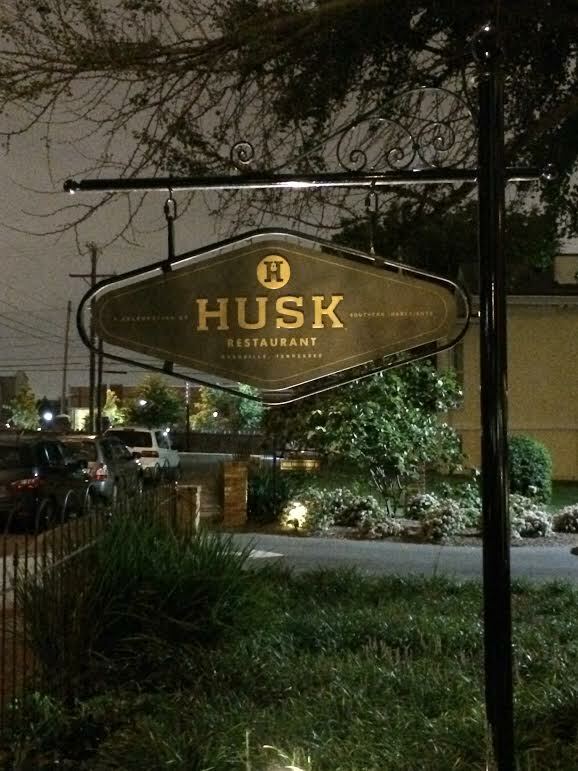 And the best part is that you can dine at Husk in either Nashville or Charleston! 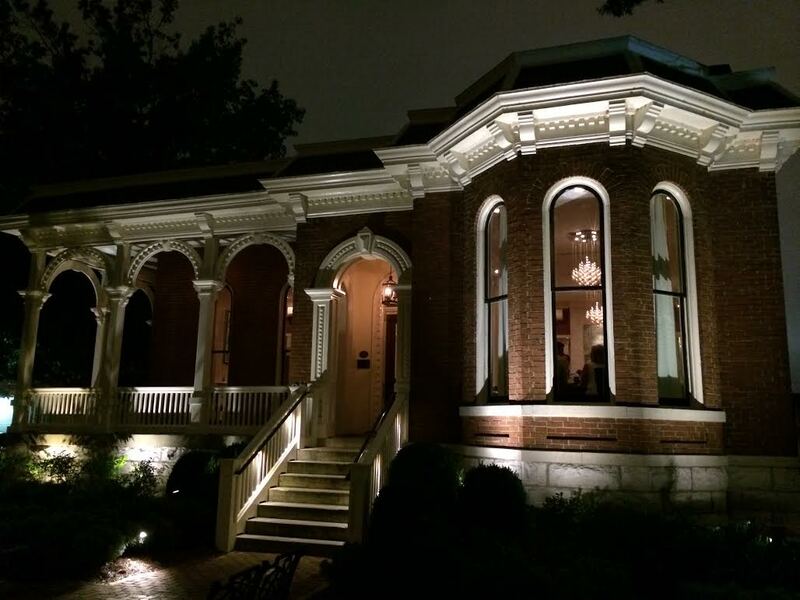 Their menu changes some each day, so there will always be an excuse to go back.